Measuring Up The First Day Back! What a great first day of school. Working with every Kindergarten-fifth grader in our school is amazing. It may be a bit of juggling as I transition from a 5th grade class that is followed right away...not a minute between by a first grade, but I am up for it! Today, was called hit the ground running! Because I know all of them!!!! I can get started with not too much review! 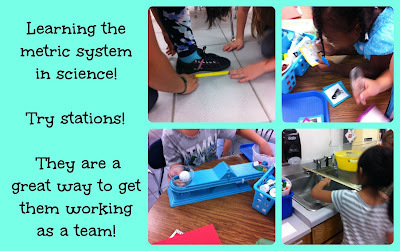 My fourth graders worked on things that help our learning STICK! 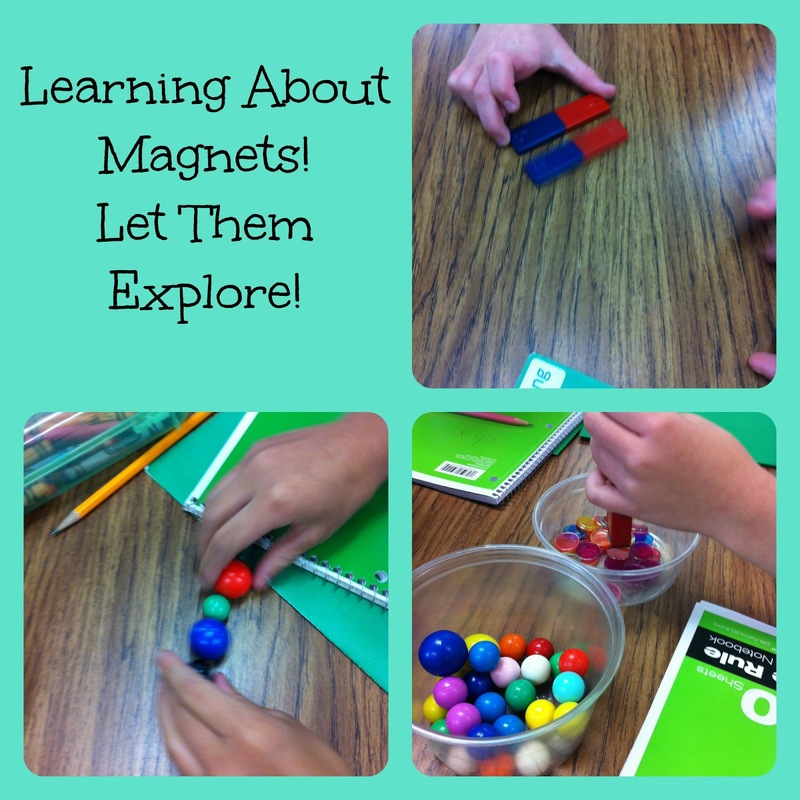 Then we worked right into magnets! See the transition! We did a KWL followed by them getting to just explore and play! I love watching them figure out the balls...the magnet chips, and the magnets. I then add the vocabulary words attract and repel on the board. I ask them to show and tell their team what each word means. It is amazing that each student can show what they know! I then gave them a bag of items to test. This year...we are doing FOUR OUT THE DOOR! They must show me what they give themselves as a self assessment on my rubrics with four being the best! I have included the rubrics for you. One is for content...one is for writing, one is for analyzing, and the last is for effort. We use FOSS so we did a quick FOSS sheet and then I read a book from EPIC books about magnets! 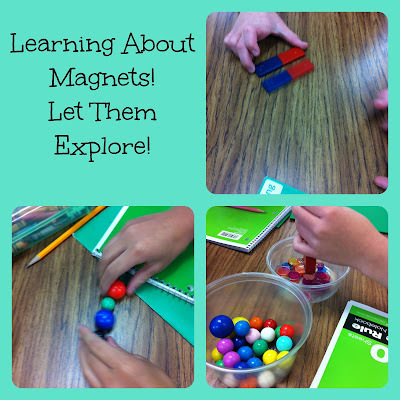 We learned about Iron and Steele and how they attract things that are magnetic! Great quick read and a free sight for teachers! I also taught my firsties about scientists tools! The kiddos loved the stations! I had them using scales, thermometers, rulers, and timers! The hands on activities helped my little ones get through a whole hour with not too much fuss! Third graders are also doing similar stations as they learn the metric system! Get them up and moving...get them working as a team! Get them self-assessing! 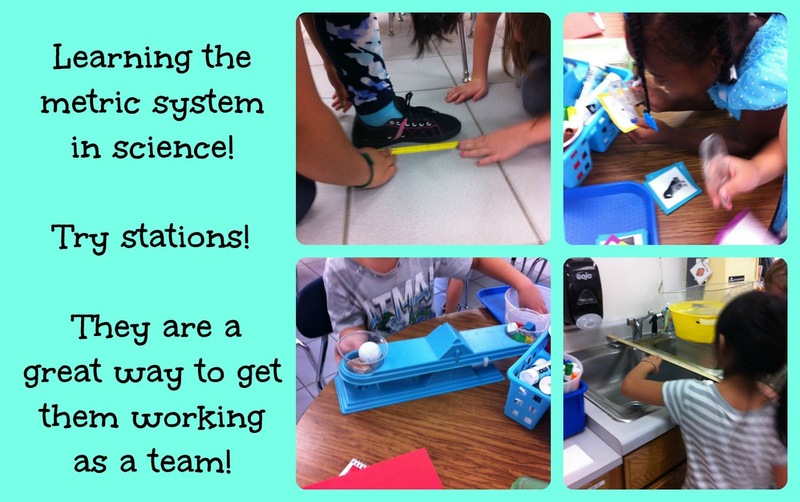 Science=Success! Happy Back to School! Happy Classrooms!